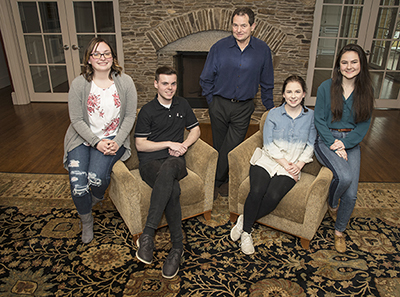 KINGSTON, R.I. – March 28, 2019 – A short film on the Holocaust by student filmmakers at the University of Rhode Island will be screened at some high-profile events in the coming weeks –and will become one of the education resources available as part of Rhode Island’s mandated genocide education for secondary school students. “The Fence Between Us” will get its URI premiere Monday, April 1, at the Norman M. Fain Hillel Center on the Kingston campus. The film will also be shown during the 35th annual Statewide Interfaith Commemoration of the Holocaust on May 1 at Temple Emanu-El, in Providence. A lively room filled with laughter, smiles and positive discussion about faith and its meaning to those practicing, according to the Avi Shabbat Interfaith dinner at the Wesley Methodist Church. 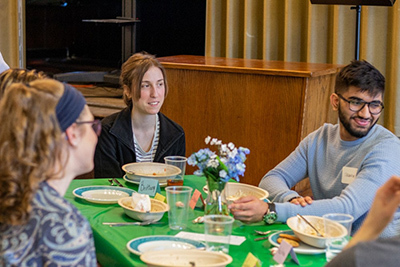 Hillel at Central Michigan University co-hosted the Avi Shabbat Interfaith dinner on March 22 alongside the Muslim Student Association and Wesley at CMU. 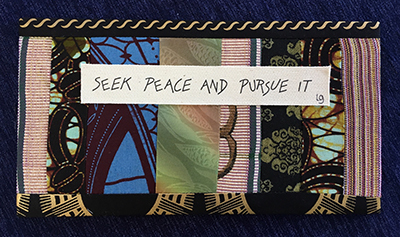 The Avi Schaefer Fund (ASF) is proud to announce the recipients of this year’s Avi Schaefer Seek Peace and Pursue It Award, honoring students, academic faculty, staff, or university administrators who have stood up in a public way for peace, justice, and compassion on their college campus. These outstanding campus changemakers share, express, and put into action the values that Avi Schaefer, z”l, lived. The Council of Religious Advisors at Arizona State University’s Tempe campus elected Debbie Yunker Kail, executive director of Hillel at ASU, as its new president. 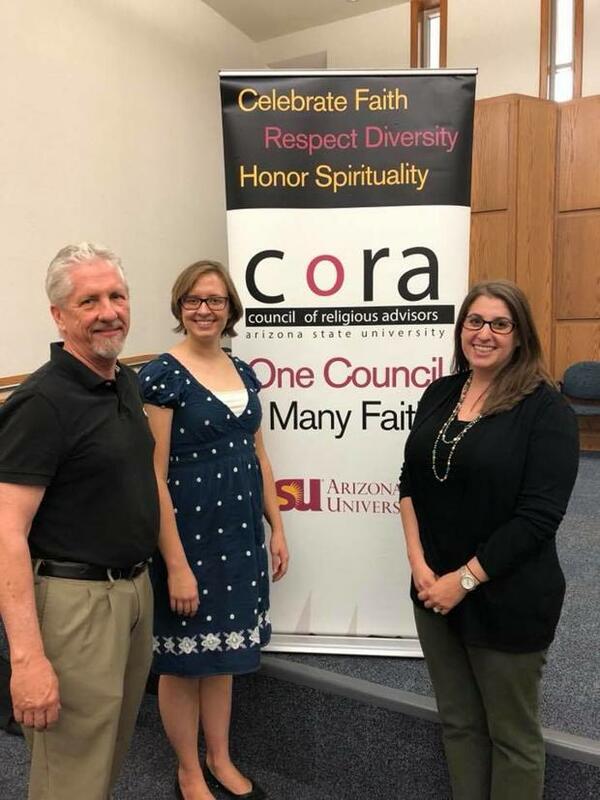 Made up of professionals from campus faith-based organizations, CORA offers member organizations a platform to engage with each other and university leadership. It assists in orientations for incoming students, including more than 40 day-long orientations held throughout the summer, and helps students find religious counseling and volunteer opportunities, as well as holding spiritual awareness fairs on campus. CORA councils exist on each of ASU’s four campuses; the Tempe council is the largest with 31 member organizations, including Hillel, Jewish Arizonans on Campus and Chabad at ASU. Union has again been named a winner of a HEED Award by Insight Into Diversity magazine, the oldest and largest diversity-focused publication in higher education. 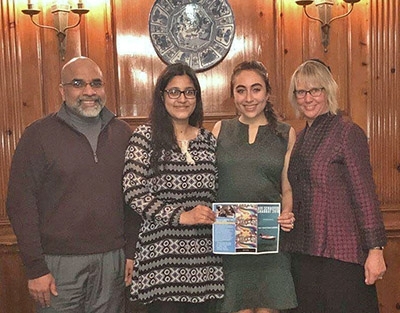 This marks the fifth straight year the school has been honored by the magazine, which recognizes U.S. colleges and universities that demonstrate an outstanding commitment to diversity and inclusion. Writer and actor Gili Getz performs his one-man, one-act play that explores the American-Jewish community’s difficulty with discussing Israel in an honest way. 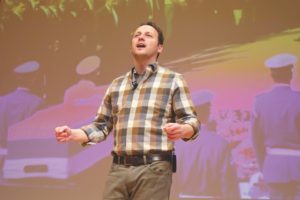 A former Israeli military photographer, Getz stages his performance as part of Avi Shabbat, a Shabbat dinner held on college campuses that honors the life of Avi Schaefer, who served in the Israeli army and was struck and killed by a drunken driver in 2010. A Shabbat dinner and discussion will follow the performance. 6 p.m. Free. Loyola Marymount University, St. Roberts Auditorium. 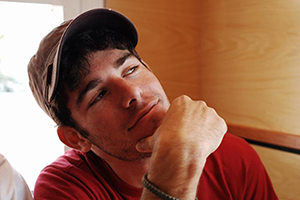 In the early hours of February 12, 2010, Avi Schaefer was killed by a drunk driver while walking back to campus at Brown University. To keep Schaefer’s memory alive, his family started the Avi Schaefer fund, which aims to foster discussion among groups that often don’t communicate with one another. Schaefer had hopes of creating dialogue between Jewish and Palestinian people.